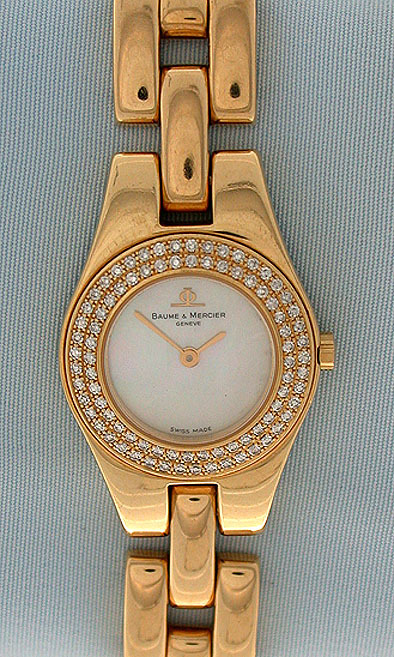 Heavy 18K gold and diamond Baume & Mercier ladies wrist watch circa 1990. 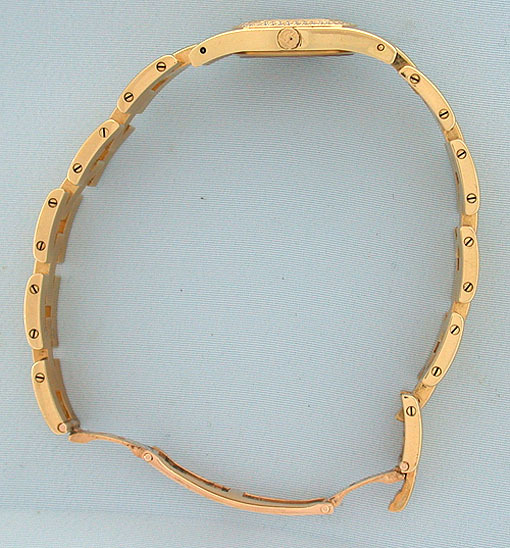 Classic design with diamond bezel and massive links. Quartz 6 jewel movement. 95 diamonds approximately 1 carat and approximately 34 dwt net gold weight. Overall length 7 inches.